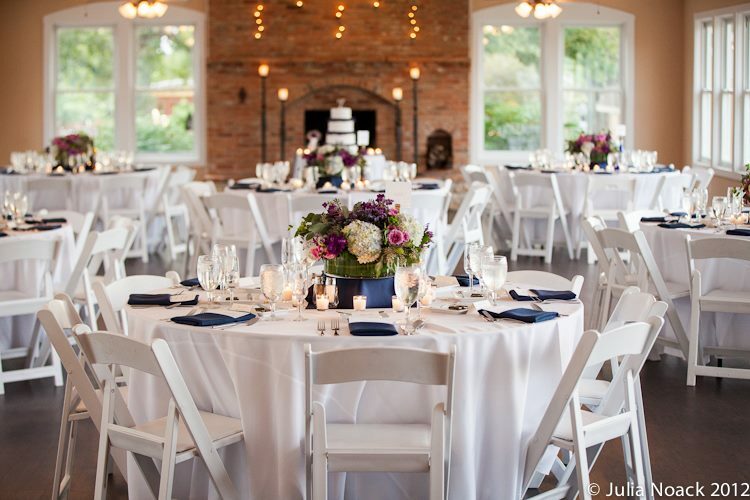 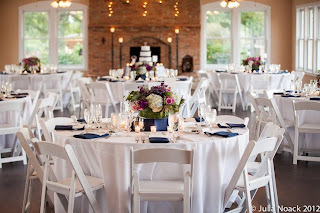 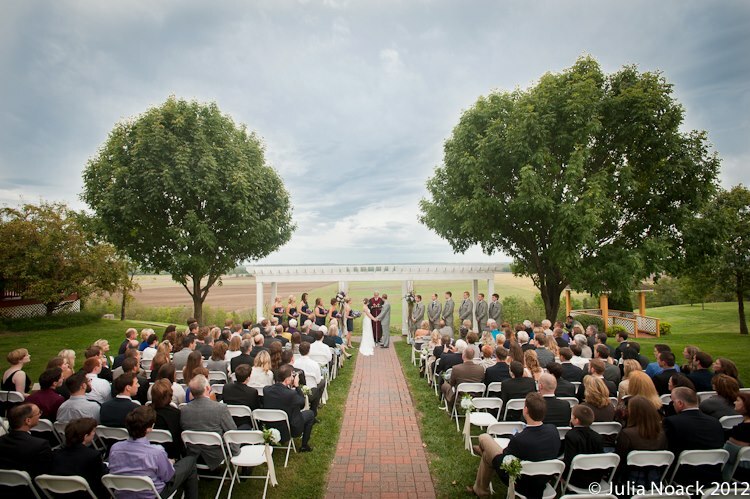 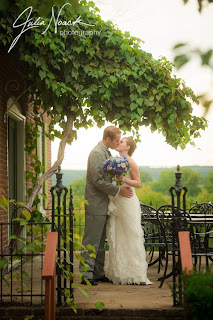 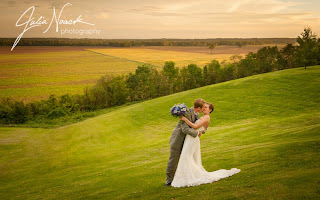 Stephanie and CJ celebrated their wedding day with a ceremony and reception at Mt. 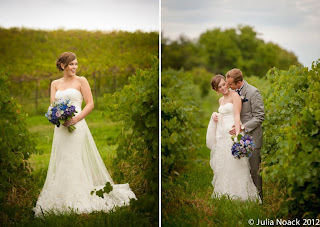 Pleasant Winery last fall. 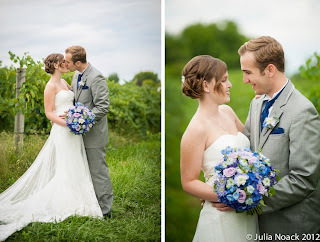 They were a darling couple to work with! 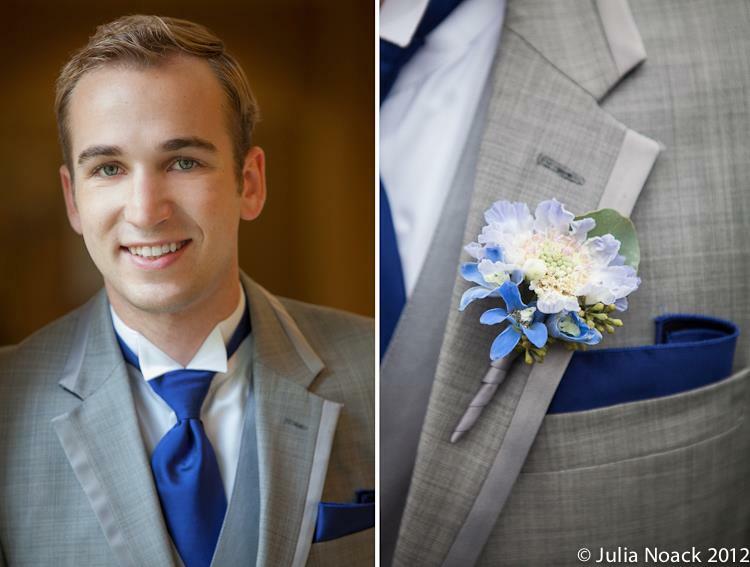 Photos by Julia Noack. 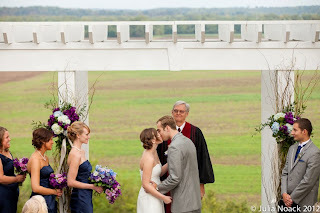 This is such a sweet picture, we couldn’t resist featuring the groom first! 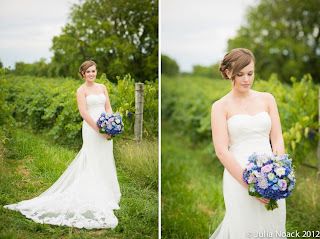 A sweet bride to compliment her groom. 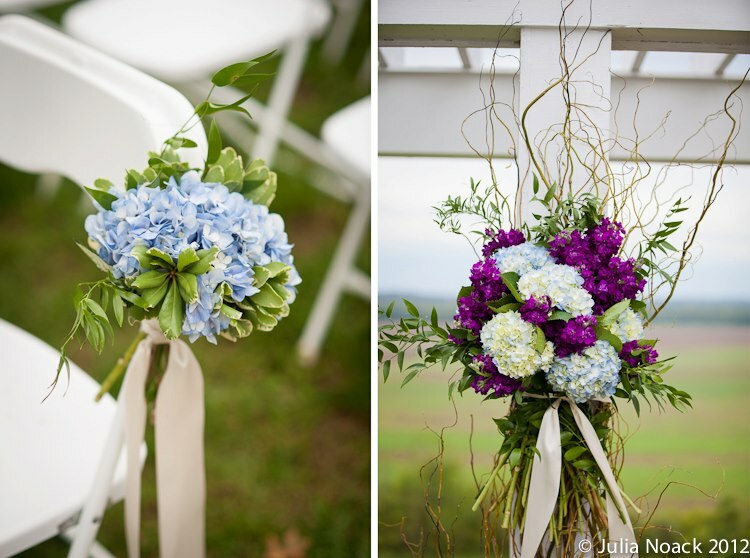 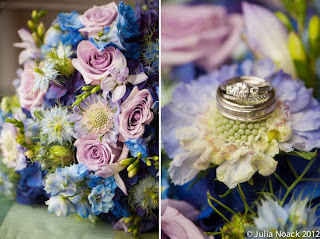 Stephanie’s bouquet was a lush wildflower mix of lavenders and blues. 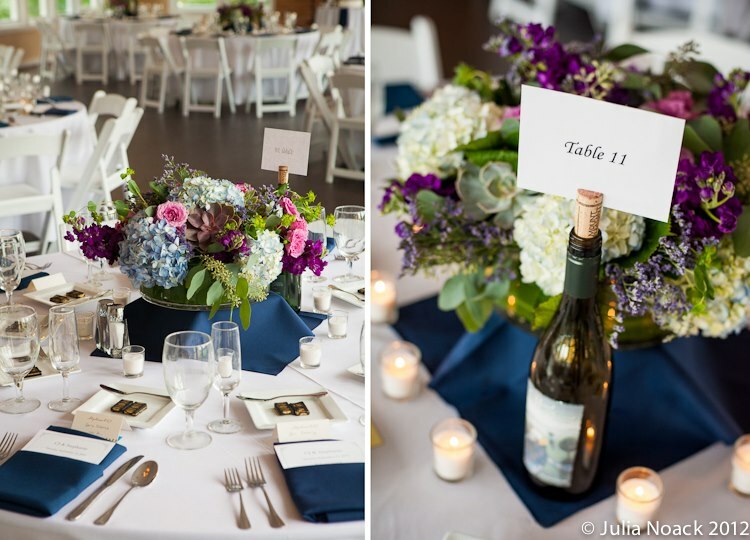 We loved doing these textured centerpieces with hydrangea, roses, and succulents! 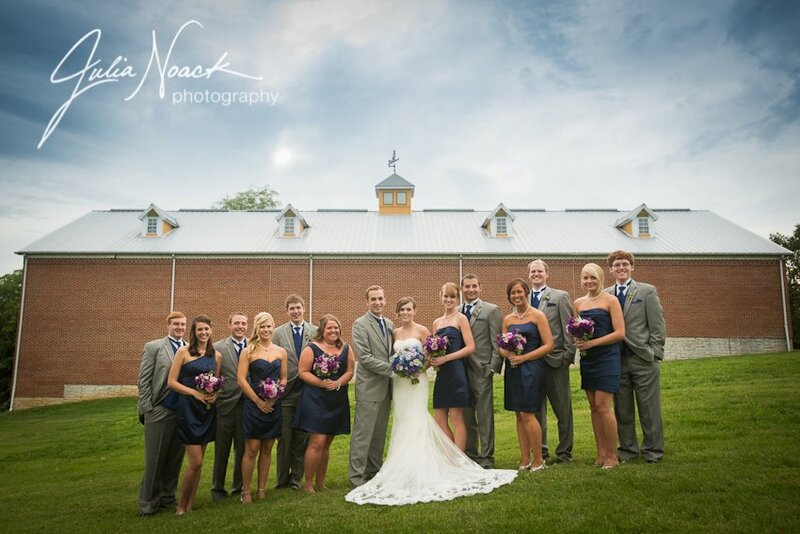 What a perfect day for a wedding! 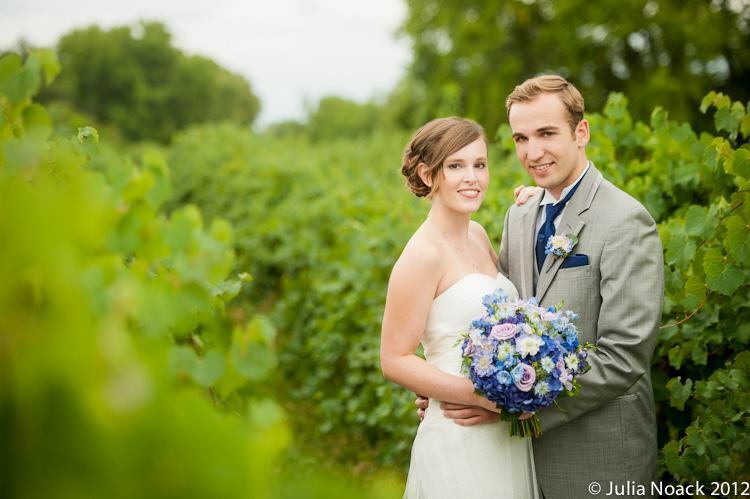 Best wishes to the newlyweds!